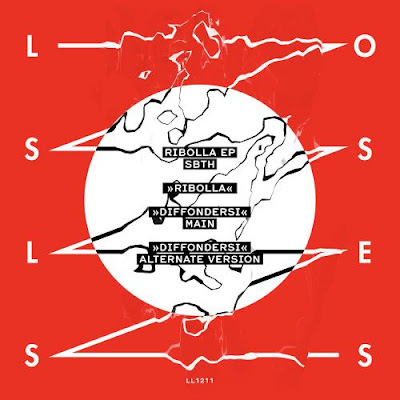 Berlin based label Lossless returns for it's 11th release. The “Ribolla EP“ comes courtesy of the label heads Mathias Schober and Thomas Herb under their alias “SBTH”. A record showing that only with the knowledge of the past you can create the future. - Track? !D. Home » Electronic » EP of the Day » Pit Dim » Berlin based label Lossless returns for it's 11th release. The “Ribolla EP“ comes courtesy of the label heads Mathias Schober and Thomas Herb under their alias “SBTH”. A record showing that only with the knowledge of the past you can create the future. Berlin based label Lossless returns for it's 11th release. The “Ribolla EP“ comes courtesy of the label heads Mathias Schober and Thomas Herb under their alias “SBTH”. A record showing that only with the knowledge of the past you can create the future. The title track ‚Ribolla' is deeply embedded in the history of dance music, yet it sounds like the future. You hear a fundament of classic Deep House, sprinkled with just the right touch of Italo glam while being so cosmic and hypnotic that it pulls you into a vortex. The flipside “Diffondersi” in contrast is a slick, slow and laid back Electro tune with a retro futuristic synth work out on top. Spaced out deepness at it’s best whereas the “Alternate Version” takes the track from the warm up to your favourite discoteque’s peak time. It draws it’s drive from it’s repetitive Disco bassline and is even closer to the Cosmic-Italo heritage than “Ribolla”. With this release Mathias and Thomas never tried to recreate the past or glorify it, they used the past as their inspiration and put their own bold stamp on contemporary club music. For the past years Lossless has been doing exactly this - with a string of successful and unique releases from the growing family Trikk, Anthony Georges Patrice, Neil Flynn, Love Over Entropy and King Britt - floating with Mathias Schober’s solo works and the bossmen project SBTH.